Construction skill certification scheme is the scheme introduced to assure healthy and safety working grounds in construction spots. CSCS card is provided as a part of this scheme for the person who pass CSCS test. Government of most of the countries has made this mandatory to get work in the construction sites and groups. The card showcases your construction skills and knowledge on health and safety working conditions. Hence, if you love to start your career in this industry, then you have to prove your construction skill by attending the test and getting the card. 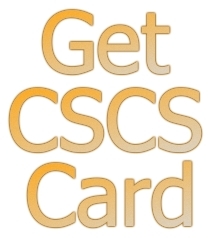 There are several types of CSCS cards to select from and the card comes in different colors. Each color denotes each level of profession in the construction field. Every one from workers to engineers related with construction industry has to get this card. Present working scenario and past experience are the important factors to be considered while selecting the type of the card. If you have any doubts or confusions in selecting the card, then you can go for CSCS consulting services. Experienced consultant can help you in selecting the right type of card, register name for test and to pass the test. 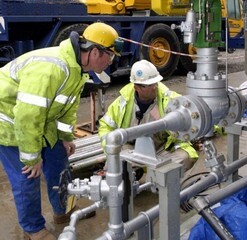 CSCS test check your construction skills along with awareness on health and safety working grounds. Your knowledge on how to avoid accidents and incidents in working places will be measured through this test. Several people are attending this test every year to apply for CSCS card. The test proves your construction skills and makes you eligible to get entered in to construction related jobs. There are several agencies to provide you with online CSCS classes and mock tests to make you ready to attend the test without any fear. Once you have got the CSCS card in your hand, then it is so easy for you to get entry to the leading construction companies. Reputed construction companies checks for the validity of the cards frequently to make sure that, they run in accordance with the government rules and regulations. So it is must for you to take a note of your validity period of the card and to renew it in the right time to continue working in the construction industry without any problems. If you look for more information on construction skills certification scheme, CSCS card or CSCS tests, then there are several online agencies to help you. They will provide you with complete information on scheme, test and card. They will help you to register your name online and will provide you with CSCS study materials prepared by the experts. These study materials including CDs and online classes are provided for the registered candidates to help them in passing the test. 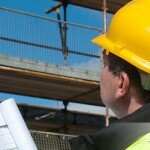 Construction helpline is one of the reliable website to depend to get all information about the cards and test. You can apply for the test online here at this website. You can also apply for online CSCS training program to enhance your knowledge on health and safety construction sites. Now the time is yours to register the name with us.